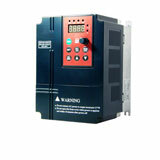 Servo drives are primarily used in "high performance / low torque" applications where precise rotor position is required. Soft starters (whether they are mechanical like an auto-transformer, or solid state) are designed to limit inrush current. They are effectively out of play once the machine is up to operating speed. 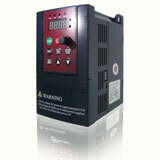 And ... since their usefulness is limited to inrush, they are not necessary for DC equipment. VFDs - in all their myriad guises - are found in different applications depending on the associated control scheme. For open loop control, the precision in terms of speed and position is not present, which limits them to usage in processes like fans, conveyors, grinding mills, extruders, chippers/refiners, defibrators, crushers, and pumps. However, they can also have closed loop control, in which case they have much better position and speed definition. These can be found in processes related to the metals (mills, coilers, edgers), mining (grinding mills), and petrochemical (compressors) industries. Although VFDs can be used to limit inrush and act as a "starter", the true soft starter is often a much better choice when considering cost and robustness of the system. VFDs only make a difference when they are employed continuously in the process to vary speed in an effort to optimize overall system performance and energy usage.